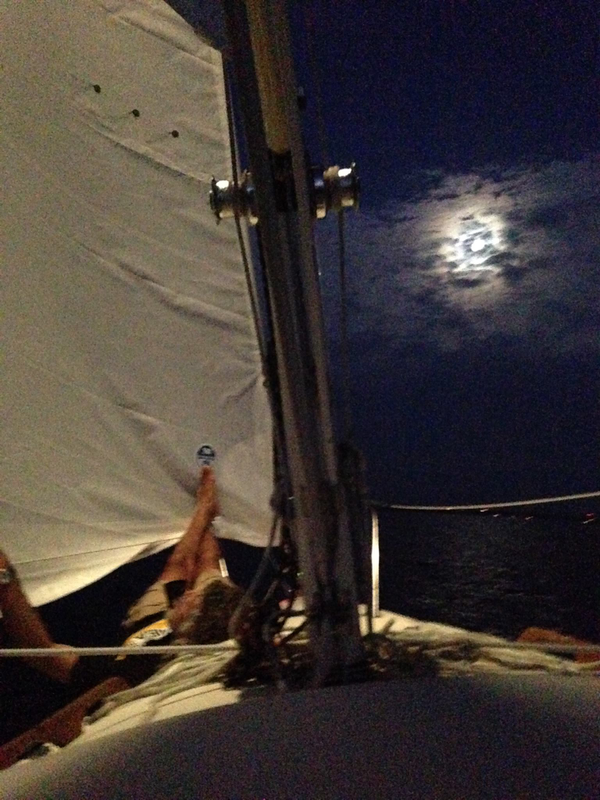 Last night was the full moon sailboat race. 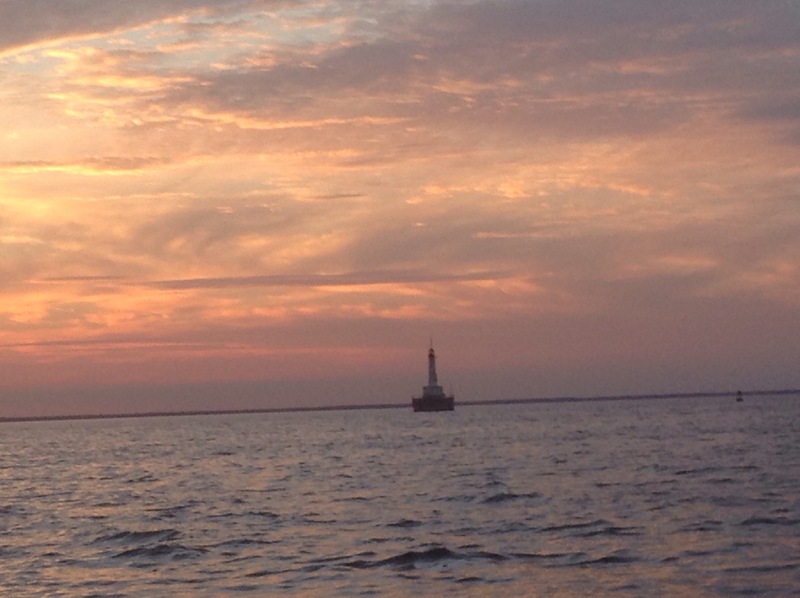 This lighthouse was our first destination. It was a hot night with a light breeze. We enjoyed a beautiful sunset. This was the first time that we sailed at night deliberately. I liked this picture because the moon looks like a skull. It made for a creepy effect. We ended up having a total of 6 people crewing this race. I didn’t know 3 of the people. Rum dumb Randy was a part of the evening crew and he brought a friend that really had a taste for rum. Randy behaved himself, but his friend was rather colorful. His friend invited us to sail the Caribbean with him this fall during hurricane season. Um, no! Then there was another really nice couple. 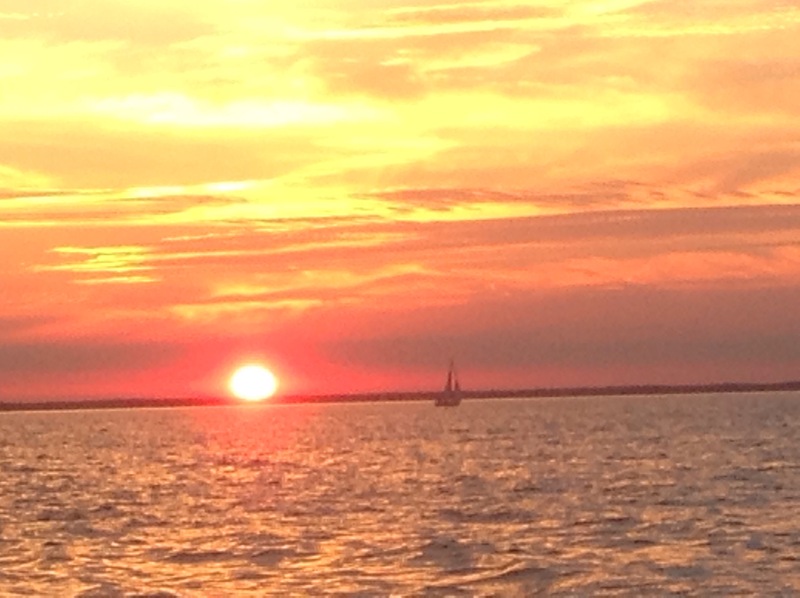 It is funny how many friends you have once you get a sailboat. Suddenly, I am no longer unfriended and I have a personality.